Offers direct sun protection and sun shade effect on lexan surfaces. 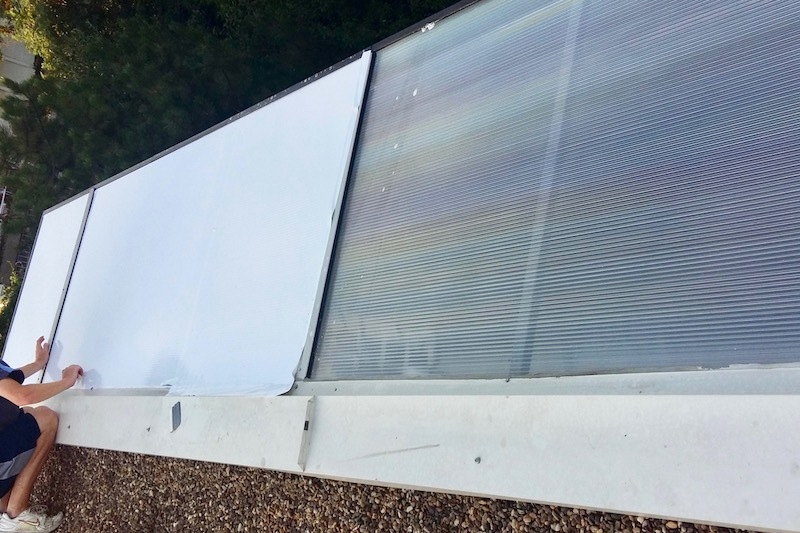 Owners of Lexan overhangs and roofs are familiar with the fact that this material radiates heat increasing the room temperature during the summer period. LEXAN film solves the problem of overheating of lexan surfaces, changing automatically the lexan glare into the more comfortable ambient. 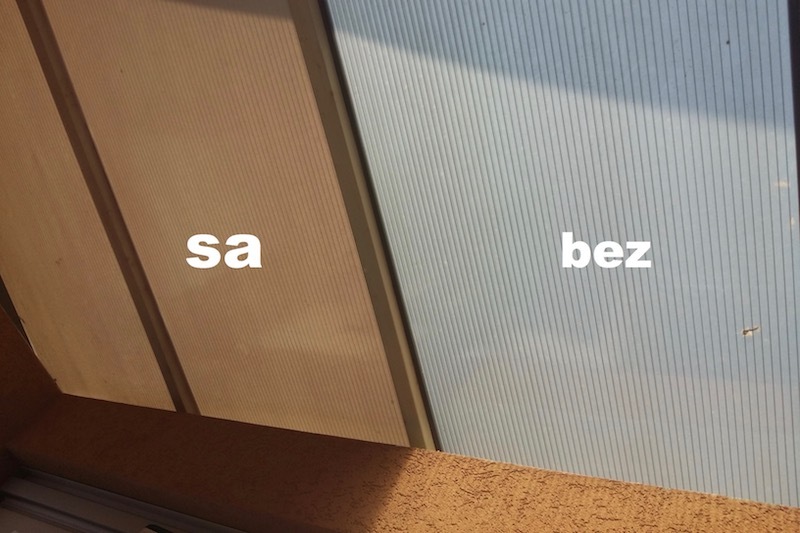 Instead of unbearable temperature and “greenhouse effect”, LEXAN film offers “sun shade effect”. You can notice a huge difference in room temperature after the installation of LEXAN films, especially when lexan plates are directly illuminated by sun. By installing Lexan films, the space becomes fully usable during sunny days, and lexan surfaces look more appealing. LEXAN film offers the best protection from overheating. During the summer period it has been measured up to 15ºC lower room temperature after LEXAN film installation. 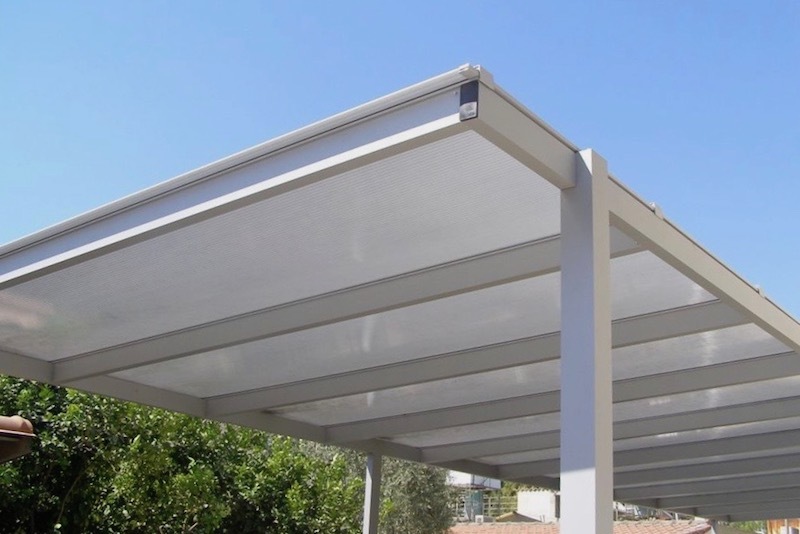 LEXAN films with its natural white color makes a shelter from direct sunshine, blocking heat radiated from Lexan surfaces. LEXAN film is extremely resilient to weather conditions so that it can be installed to all types of lexan surfaces. LEXAN films can be applied from the interior as well as from the exterior part of lexan surfaces, but we have to consider the fact that sometimes their effect is better when installed from the exterior part of lexan plate. Black Glass team has installed LEXAN films on numerous buildings: from business spaces and warehouses, to private houses and apartments which have lexan plates on their balconies, terraces, skylights and other rooms uncomfortable to be in without films. LEXAN film is easily maintained, and it comes with 3-year warranty.